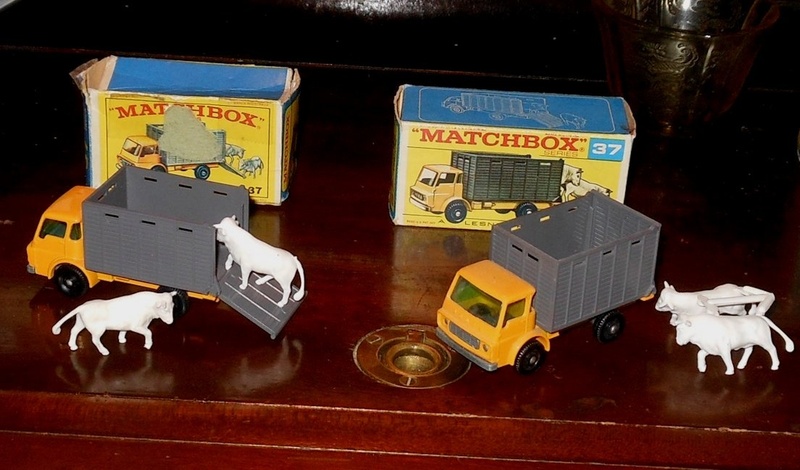 A pair of Matchbox #37 Cattle Trucks. The one on the left is in the E style box from 1966 and 1967. The one on the right in the F Box which were made in 1968 and 1969. It was still being made in the 1970s with mag wheels but at that point Matchbox is dead to me as Matchbox was getting silly. This model was first realeased in 1966. It came with 2 cattle and had a tailgate that raised and lowered for the cattle to get on and off. 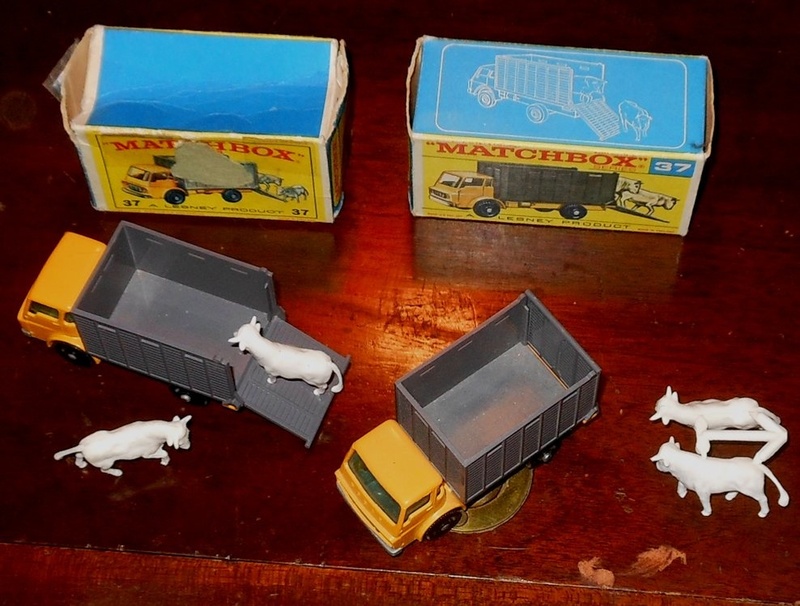 My later version still has the cattle attached to the sprue. My E box version seems to have had price stickers on each side which were sadly and badly removed. Please do not remove original price stickers from vintage boxes. This model was also used as the #4 Stake Truck with a plastic stake bed instead of the cattle carrier. These are in super condition. 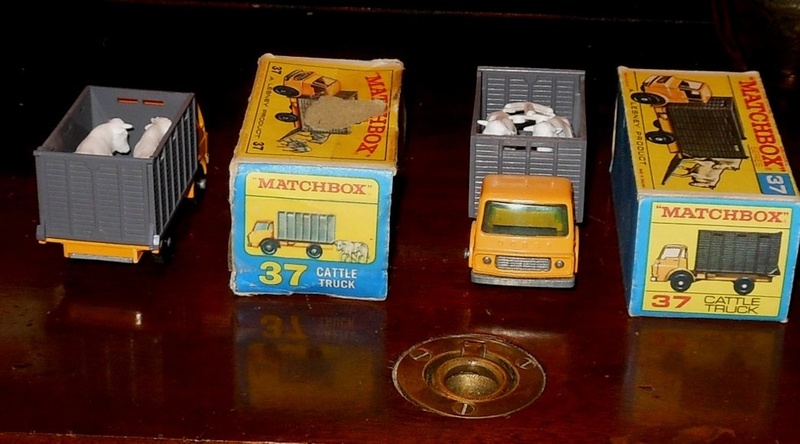 My brothers had loads of Matchbox cars in the 1960s. One still has the Wheel storage case. Thank you very much Efesgirl. The Wheel case my be Hot Wheels. It is all good.